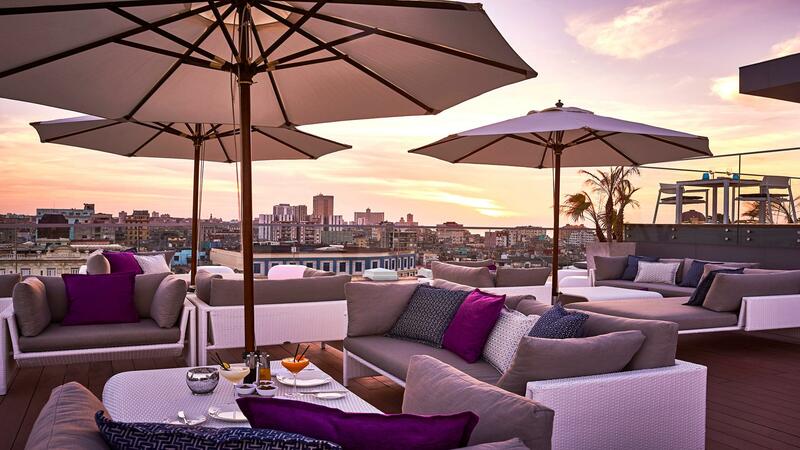 The Ambos Mundos Rooftop Bar can be found in the Hotel Ambos Mundos, one of the city’s 1920s masterpieces, nestled in the heart of Old Havana. 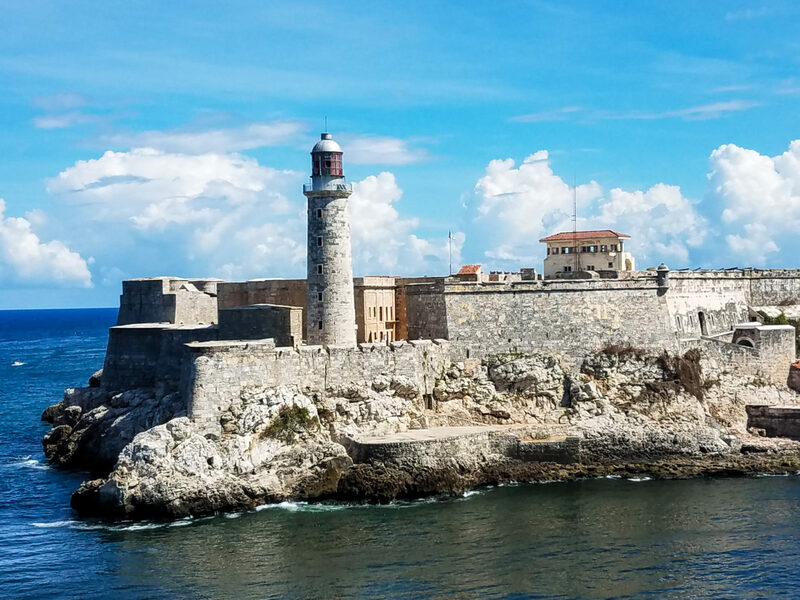 You’ll take a classic iron lift to the roof, where you’ll enjoy views of Havana’s historic harbour, relatively unchanged from when author Ernest Hemingway lived at the hotel in the 1930s. The bar doubles as a restaurant, serving fresh Caribbean lobster, classic Cuban sandwiches and more. Take in the view while sipping on one of the fun cocktails, such as a piña colada served in a pineapple. Rubbing shoulders with some of Havana’s most iconic attractions, the Iberostar Parque Central Hotel offers amazing views over Western Havana, perfect for those sunset pictures we talked about. Just imagine sitting with an ice-cold mojito in hand and the warm Caribbean air tickling your skin as you watch the sun sinking behind the Capitolio… What could be better? What’s more, you’ll be able to enjoy live music from 9pm every evening. 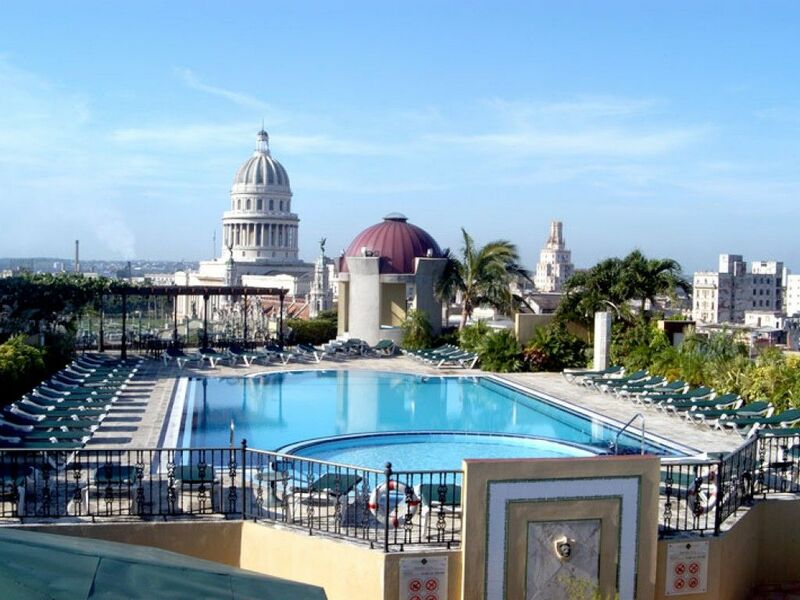 Possibly one of the most famous hotels in Cuba, the Hotel Inglaterra sits next to Havana’s beautiful Parque Central. Despite the popularity of the hotel, the rooftop bar is very spacious and never overcrowded. The cocktails are a steal at around $3CUC for the delicious speciality drinks, and (proving you’ve remembered your ETECSA card) you’ll be able to connect to the Wi-Fi and live stream your amazing view to all your friends and family. Entertainment is from 9pm so make sure to get all your selfies logged before the drums get going. Cuba’s first truly 5* hotel, this bar is as luxurious as the hotel it belongs to. In short, El Surtidor does not disappoint. 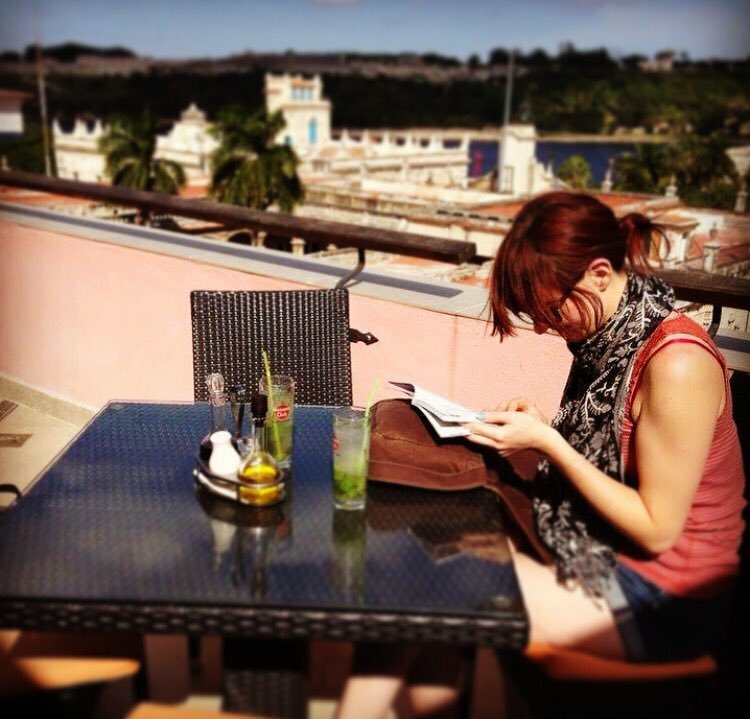 Situated by some of the most famous locations in Havana, such as Floridita and Calle Obispo and a stone’s throw from Parque Central, the views are to die for. Everything about this bar has a certain chicness that is not often found in Havana, with emphasis on ease and comfort for the visitors. Enjoy the view as you sip one of the signature cocktails, all of which are made to taste (such as the mango piña colada), or sample one of the top-quality cigars. With excellent food, Wi-Fi connection and surprisingly reasonable prices, El Surtidor really is the place to be in Havana at any time of day… The only problem is that you’ll never want to leave!